For the record, my question is not about mistakenly using a taxiway as a runway. 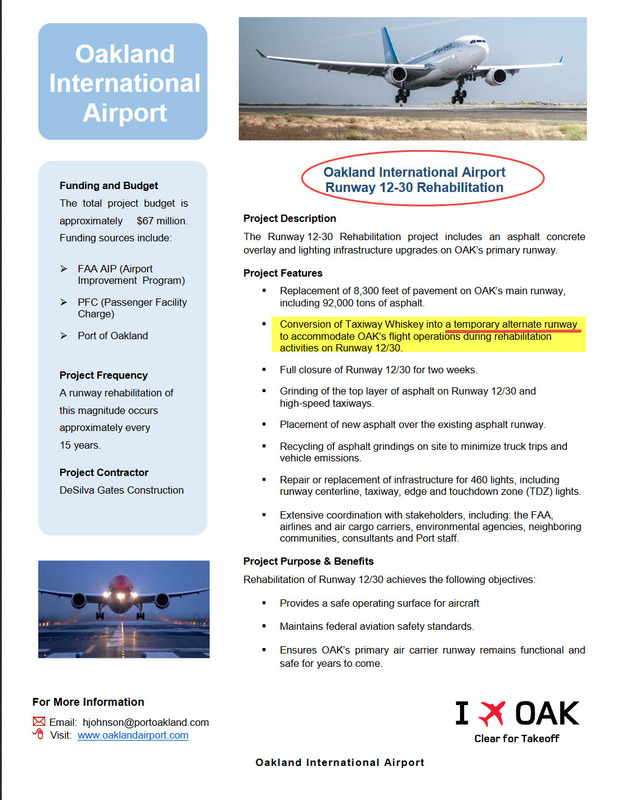 I've noticed recent changes to the sectional and TAC VFR maps around Metropolitan Oakland International Airport (OAK/KOAK) - it appears that Taxiway W is being "promoted" to a runway close to, and parallel to, Runway 12/30. 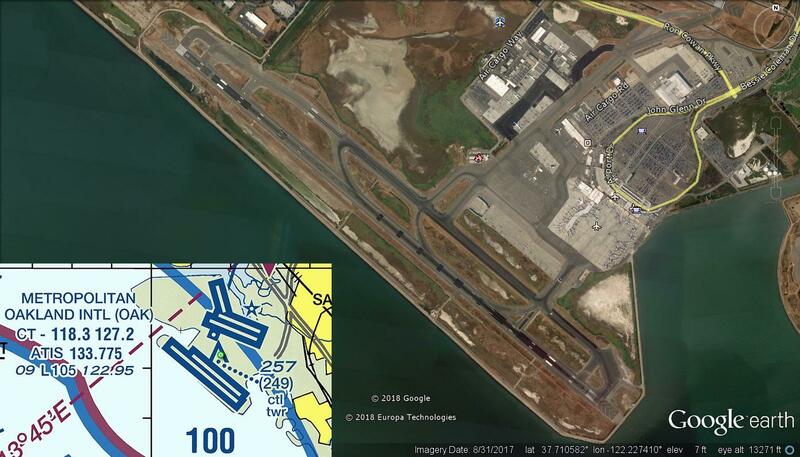 Based on the airport map (PDF) and confirmed by the Google Earth image below, aircraft departing and landing on 12/30 (presumably soon-to-be 12R/30L) will have to taxi up or down this new runway. From the looks of it, this runway will just be marginally long enough (about 7200 ft / 2195 m) to handle short-range commercial operations; certainly the longer runway will still need to be used. This then begs the question: How would airport operations be affected if both runways were active? Oakland airport runway 12/30 is undergoing a "Rehabilitation" and during the rehabilitation taxiway Whiskey (W) will be serving as an alternate runway. Therefore, your question "How would airport operations be affected if both runways were active" won't be an issue. Please see the notice below. Not the answer you're looking for? Browse other questions tagged runways taxiing airport-design or ask your own question.